With all the stress, studying and hard work finally over and a long summer of fun to look forward to before going off to Uni, a group of A Level students, decided to get the party started with a bang, by hiring Hog Roast Dartmouth for a garden party to celebrate their freedom! At first, Emma, who had been elected to host the party, was having a bit of trouble convincing her parents to let her have it at their house, as they weren’t very keen on the thought of 25 teenagers wreaking havoc in their garden (who would be!). But when she told them they were invited too, and she wanted to have a hog roast, her parents caved in because they were so keen to try our slow-roasted pork themselves! Since they would be the ones footing the bill for the party, they were very relieved when they discovered what excellent value for money one of our hog roasts actually is. 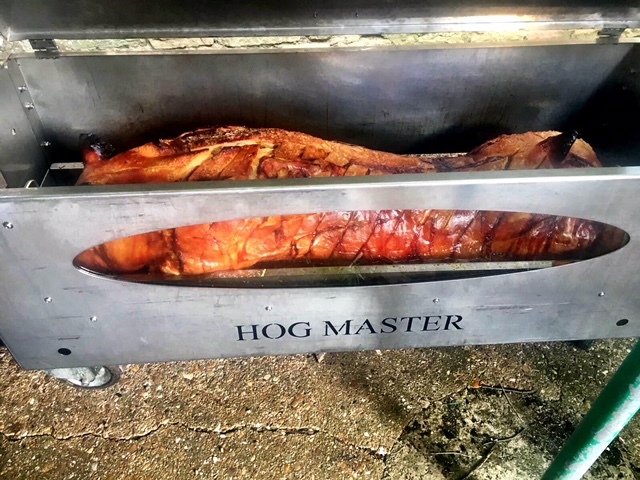 Because our machines are so efficient, and a little bit of hog roast goes a long way, you don’t need a massive budget to fill 25 bellies with great food! Emma’s parents were equally impressed with our minimal set up and how were able to bring everything we need and set up on their patio, with taking over the place. The Hog Roast Dartmouth team assured them that we are incredibly well-organised and wouldn’t need anything extra from them and they wouldn’t need to lift a finger, whilst we were there. They wouldn’t have to worry about cleaning up afterwards either, as we do that ourselves, take everything away with us and they wouldn’t even know we had been there! Feeling a bit more relaxed about the party now, Emma’s parents were happy to let their daughter take charge of the hosting duties and braced themselves for the arrival of all her classmates! As promised, everyone was incredibly well-behaved, but still had a great time. It was obvious how relieved everyone was to have finished their studies and be able to relax. Emma and her fellow students loved Hog Roast Dartmouth’s food, as did her mum and dad, and they managed to have a really enjoyable party with destroying the garden!